There are several ways to protect your home, landscape or any property from flooding and soil erosion. Some of these measures are the installation of a proper drainage system, erosion control, and wetland planting. Each of these performs a distinct function, but all can vitally prevent or at least minimize the effects of natural calamities and extreme weather conditions. Almost any kind of structure needs a proper drainage system to dispose the excess water brought by too much rain. 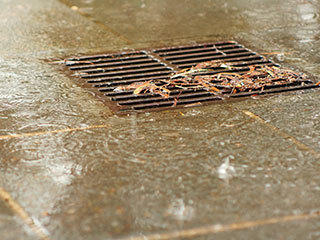 If your property has a proper drainage system, it can be spared from water damage. This situation can seriously destroy the stability of a building or the beauty of a landscape. However, you need to understand that drainage systems come in several types. Each of these is designed to handle different circumstances, although they all perform the same purpose. 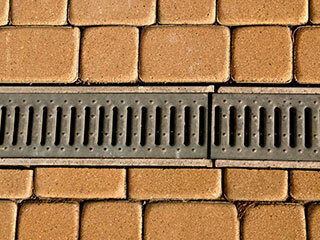 The most common types of drainage systems are the downspout drain, slope type and French drain. A downspout drain is set up by connecting the drainage to the gutter system of an edifice. Here, the water is taken from the roof toward the ground without affecting the foundation of a building. Another type of drainage system is a slope drain. This is designed to take water away from an edifice or landscape. It basically allows the water to follow a route that leads down a slope. A French drain, on the other hand, is a type of drainage system that is installed on flat land. This is composed of pipes that direct water away from the foundation and nearby landscaping. Upon installing the proper type of drainage system in your property, you will be spared from problems like loss of your property's structural strength, plant decay and formation of molds. If your property is situated on a slope, having erosion control is indispensable. There are several ways to combat soil erosion. First is by installing retaining walls. The primary function of retaining walls is to support and maintain an embankment as well as to slow runoff. Another way of controlling soil erosion is by placing mulches. Mulches help control soil erosion by acting as a covering to prevent water, ice or wind to penetrate through the soil. Grading, which may include excavating, filling, clearing or embanking without affecting the soil, is another erosion control measure. Wetland planting is very helpful in preventing flood. This essentially acts like a sponge that holds water. Wetland planting is helpful in preventing soil erosion. As the plants are deeply-rooted in the muddy floor with stalks that go above the water surface, the flow of water is being controlled. Hence, the erosive forces of gushing water are countered. Now, if you believe that your property is not yet ready for the impacts that can be brought either by flood or soil erosion, then you can contact Seasons Unlimited Inc. We install different types of drainage systems. Of course, we will help you determine the best type of drainage system that you need in your property or landscape. We can also build retaining walls, perform grading and deliver mulches which are perfect for any landscape. Wetland planting is another service we can offer you. Don't hesitate to contact us if you have any query. We will always be glad to assist you to keep the safety and beauty of your property.